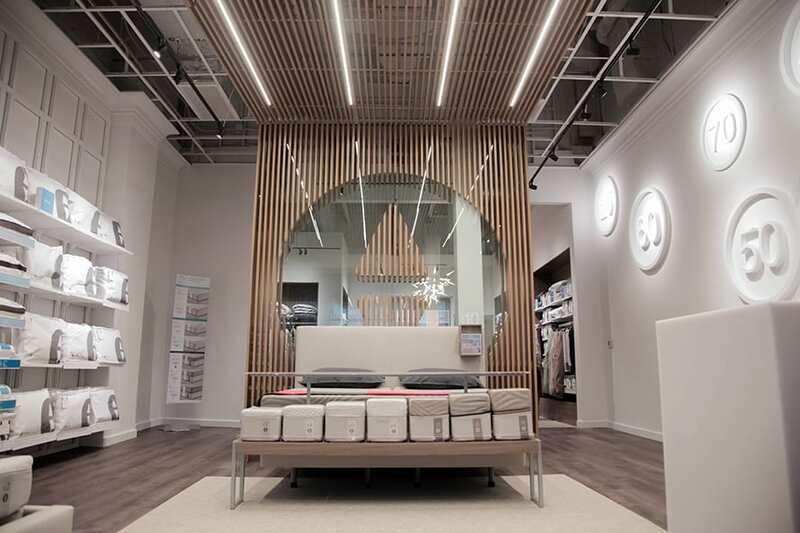 Sleep Number's Manhattan store is fully equipped with the latest technology. Everywhere you look, it seems mattress companies are opening sleep lounges with nap pods or attending major industry events like SXSW to showcase products that improve your sleep quality, and therefore your health. There’s so much competition in the mattress world these days—what does a mattress brand have to do to stand out? The brand’s new shop, which opens today in Manhattan, is not your typical retail store or mattress showroom. To keep up with the increasing competition, Sleep Number injected technology and a thoughtful, open design into the space with the goal of positioning itself as a health-and-wellness company that can truly improve sleep quality and quality of life for busy New Yorkers. 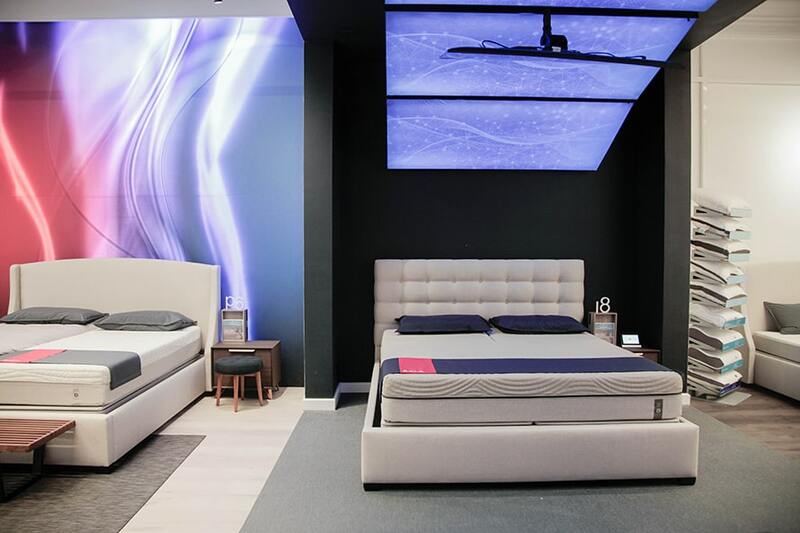 With the location, Sleep Number aims to transform the traditional retail store into an experience where you can learn about the latest in smart mattresses or how mattresses connect to smart homes and fitness trackers. You can also hear about (and learn firsthand) how Sleep Number mattresses adapt to different body types to provide quality sleep for anyone. “It feels like an organic idea,” Gearhart said. The other distinguishing factor of the retail location, according to Gearhart, is the sleep experts in the store. All employees will be able to work with the technology and products to help shoppers find their perfect mattress, pillows or bedding for them. So what’s it like when you first set foot in the high-tech store? Just inside there are two digital maps of Manhattan that display the average time people in different neighborhoods—from the Upper West Side to the East Village—woke up and went to bed, how long they slept and what their average sleep score, or quality of sleep as measured by biometric sensors built in to the bed that can track heart rate, breathing and movement in bed. In the next room—there are five rooms in all—shoppers will find the brand’s temperature-balance line of products. The middle of the store is where shoppers can really test out Sleep Number’s products, including the latest Sleep Number 360 smart bed. “What this experience does is it brings all the benefits of the 360 smart bed [which starts at $999] to life in a way that feels comfortable, because laying down in a bed in a store with people looking at you can be a little weird,” Gearhart said. There are two beds, one on each side of the store, with a TV above each one. Each bed can map your body and display pressure points on a heat map. 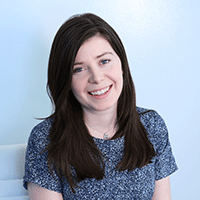 A sleep expert adjusts the bed to fit your body and your Sleep Number setting. You can feel the bed moving as you lie on your back and side. The experience also shows how the bed can rise and fall at the touch of a button if your partner is snoring and keeping you up in the middle of the night, as part of a three-minute, immersive “ride” where the consumer learns about the technology built in to the bed. The experience is unique to Manhattan, for now. Additionally, shoppers can play around with a giant, interactive SleepIQ app to learn more about how the Sleep Number 360 smart bed connects to your home and daily life. “You can see over time how your sleep changes and the things that you do can impact your sleep,” Julie Elepano, senior manager of product brand at Sleep Number, said. The smart bed can link up to a number of fitness trackers to help monitor how physical activity impacts sleep. It also can connect to Nest devices to control room temperature.